RedCon1 Mental Trigger Review – Not for the Easily TRIGGERED! Are you easily TRIGGERED?? Then Mental Trigger isn’t the supplement for YOU! No joke, I’m a little triggered by Mental Trigger, a stimulant-heavy brain booster that substitutes actual-factual nootropic cognition enhancement with “stick-a-fork-in-the-toaster” brain-jolting stimulation. And as you may know by now, sticking forks in electrical appliances isn’t all that great for your cognitive longevity. Having said that, some supplement buyers, namely bodybuilders and big lads, enjoy the more-than-average amount of caffeine in their supplements. And, for the record, RedCon1, the manufacturer’s behind Mental Trigger, do shell out some pretty awesome energizing (and non-energizing) workout supplements. But as a mental performance enhancer, how does Mental Trigger rank? Let’s read my Mental Trigger review to find out. Conclusion: Does Mental Trigger Work? RedCon1 Mental Trigger is a “MENTAL FOCUS” supplement that takes a more stimulant-charged route to better brainpower, investing most of its capsule space on caffeine. I don’t qualify caffeine as a true nootropic, as it’s not exactly the healthiest compound for brain health or long-term mental performance. Thus, I don’t qualify Mental Trigger as a true nootropic stack. 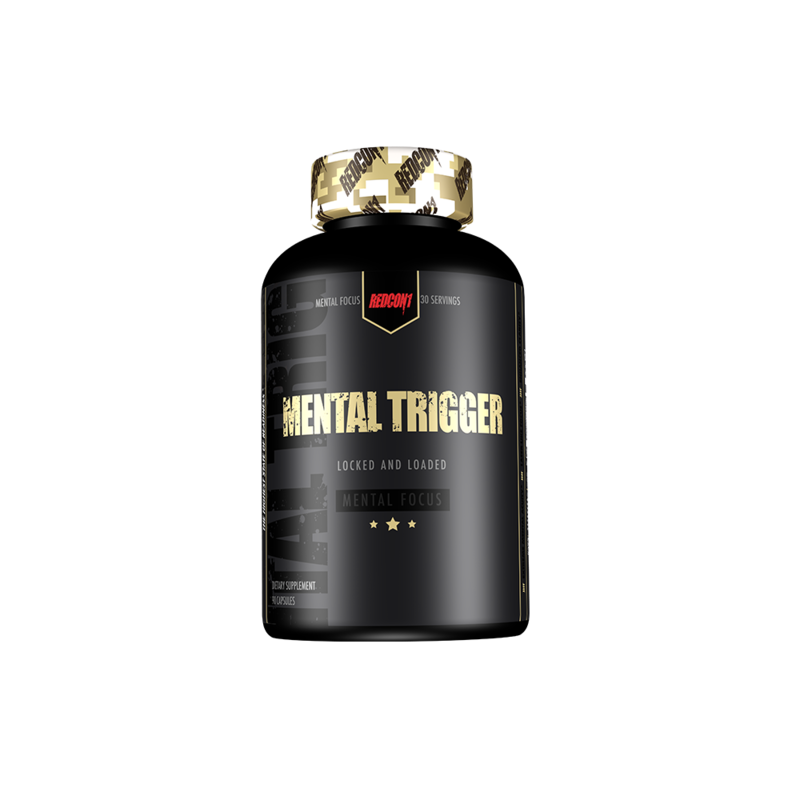 Even so, bodybuilders and stim-junkies may enjoy Mental Trigger’s heavy focus on stimulation (caffeine, hesperidin, theacrine), as well as the modest boost in feel-good brain chemicals via L-dopa and alpha-GPC. Other Ingredients: natural and Artificial Flavors, Acesulfame-K, Silicon Dioxide. Directions: Redcon 1 recommends that you use Mental Trigger (3 capsules) as needed when focus and clarity are required. Due to this product having stimulants, it is not recommended to take it within 3-4 hours of taking other stimulants. Also, you should not take within 4-6 hours of sleep. Can be taken by both men and women. Compared to RedCon1’s other performance enhancing supplements, Mental Trigger is surprisingly simple. Judging by the first ingredient and the first ingredient’s dosage, there’s no mystery as to what’s fueling this “MENTAL FOCUS” supplement. Caffeine Anhydrous – Straight-up caffeine powder, coming in hot at a substantial 250 mg. (Consider that an 8 oz cup of coffee has about 95 mg caffeine.) For those who really like caffeine, Mental Trigger’s got it. More on Caffeine. Hesperidin 92% (Citrus Sinensis) – Stimulant compound that increases circulation (thus, avoid if you have blood pressure issues). Might possess neuroprotective benefits, yet it’s primarily used for pre-workout stimulation and fat burning thermogenesis. If Mental Trigger makes you feel off or nauseous or sick, odds are you’re having a negative interaction with this ingredient. Teacrine® (Theacrine) – More and more stimulant-based nootropic supplements are supplying this premium brand of theacrine, a caffeine-like semi-synthetic that might enhance caffeine’s effects over a greater length of time. For additional energy, swallow these capsules with five cups of coffee! Mucuna Pruriens (60% l-dopa) – Natural, potent extract of L-DOPA, a precursor compound to dopamine that seems to also possess testosterone increasing benefits via an increase in LH/FSH activity. May improve mood, motivation, and sleep. Alpha GPC (90%) – High concentration of nootropic choline that (unlike, say, choline bitartrate) may cross the blood-brain barrier for an increase in brain acetylcholine levels. Alpha-GPC seems to also possess ergogenic benefits, due to acetylcholine’s key role in the neuromuscular junction. More on Alpha-GPC. BioPerine® Black Pepper Extract – Never a bad idea to add a little black pepper extract to your formula. Black pepper’s piperine seems to enhance nutrient absorption, potentially improving the overall bioavailability of Mental Trigger. Mental Trigger does exactly as its title suggests: it triggers. Similar to the quick blast of a gun-trigger, Mental Trigger excites brain activity with a quick jolt of stim-charged energy that leaves a hole in your head. (That sounds incredibly morbid, but…) What I mean by that is that Mental Trigger isn’t exactly healthy for your brain in the way that nootropic brain health supplements should be. And that’s fine, if you’re not here for optimized brain health. Mental Trigger is for workout, not workplace, energy. Perhaps all you want is that “MENTAL FOCUS” advertised on the bottle’s label, and sure: 250 mg caffeine + 100 mg hesperidin + 50 mg teacrine may do exactly that for you; even too much “MENTAL FOCUS” if you’re sensitive to stimulants. But even with the brain healthy L-DOPA and Alpha-GPC, this form of cognitive enhancement isn’t exactly nootropic in the sense that it isn’t healthy for your brain health in the long run. For one, this type of feel-good caffeinated energy can be addictive. It comes with a crash that, when all is said and done, actually impairs cognitive performance. While the L-DOPA and Alpha-GPC do give Mental Trigger a bit of a nootropic edge, I wouldn’t say they’re edgy enough to qualify this stack as a bona fide nootropic supplement. 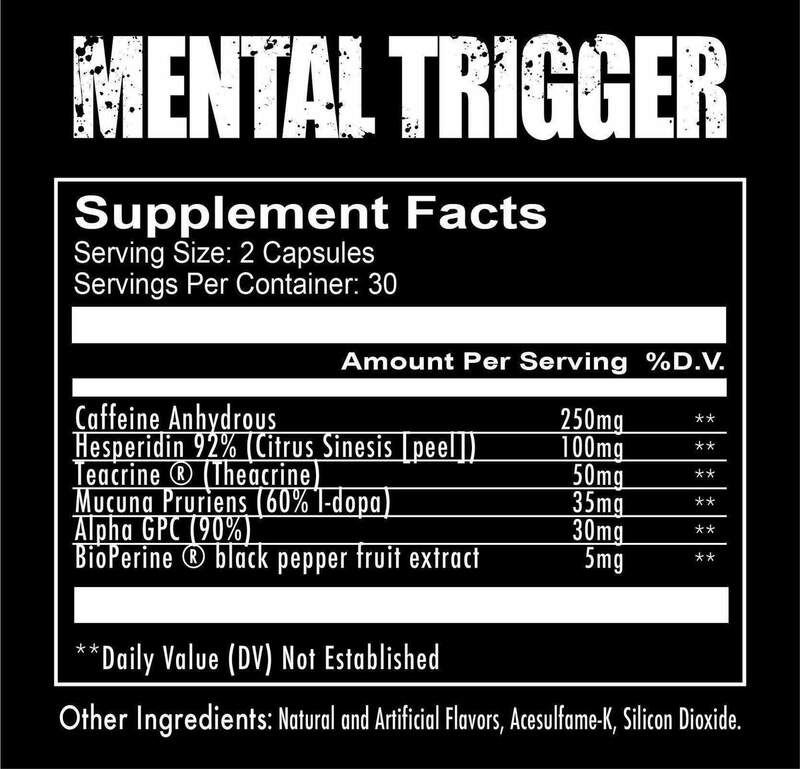 Mental Trigger is a stimulant supplement, primarily fueled by caffeine and BP-boosting hesperidin. This might be a bonus if you’re a muscle-packing bodybuilder (such as me ha ha) whose body can handle the stimulation. But if the negative customer reviews are any indication, the stimulation here seems too much for the average nootropic enthusiast. But I think that’s the point here: Mental Trigger appeals to immodestly “more than average” stim-junkie more so than the health-concerned bio-hacker. It’s a feel-good rush of energy that I enjoy (both in the Mental Trigger and Total War pre-workout formats), but not something I’d take or recommend for actual nootropic cognition enhancement. Mental Trigger reliably amps up brain energy and focus, at least for those who aren’t overly sensitive to stimulants. The L-DOPA and Alpha-GPC may improve dopaminergic and cholinergic brain pathways for a bit of genuine mental performance improvements. BioPerine® boosts the overall potency and bioavailability of this supplement’s formula. Mental Trigger isn’t a nootropic supplement in the true sense of “nootropic” due to the formula’s emphasis on stimulation over neuroprotection. $50 for what essentially amounts to an amped up caffeine pill. It’s a bit overpriced. If you buy through the RedCon1 online store, you can pay either the full price upfront or four automatic, interest-free payments of $12.50 (via Sezzle). Either way, this isn’t the most expensive stimulant supplement, yet it’s still quite a bit for only a small handful of ingredients. Mental Trigger appeals more to the bodybuilding crowd than the nootropic geeks. And that’s fine: it’s not like Mental Trigger’s falsely advertising itself here. Yet, if you’re considering this supplement to boost actual focus, as in improving attention and concentration, that’s not exactly guaranteed with this much stimulation. Think of it more as an aggressive I need energy! booster instead. You can buy Mental Trigger through various online retailers, including the RedCon1 store and Amazon. Read my Best Nootropic Supplements on Amazon. 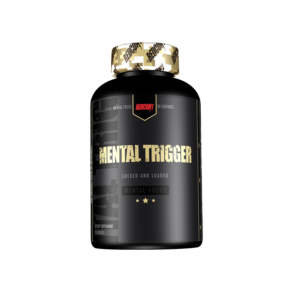 Here’s the thing about Mental Trigger and supplements like it: I tend to give these products harsh reviews, even though they work pretty well for what they are. And what are they? Hyper-caffeinated, hyper-stimulating cognitive energizers. They’re not true nootropic cognitive enhancement supplements, hence my harsh reviews. But if a load of caffeine and a little bit of mental feel-good neurotransmitters are what you’re after, then Mental Trigger has exactly what you need. And there’s merit to this formula design, if amped up stimulative energy helps your workout performance. However, does Mental Trigger work for everyday “sit at your desk” work performance? Nah. I wouldn’t recommend Mental Trigger for that at all. For enhanced workplace performance, I recommend checking out my Best Nootropic Supplements of 2018 list.